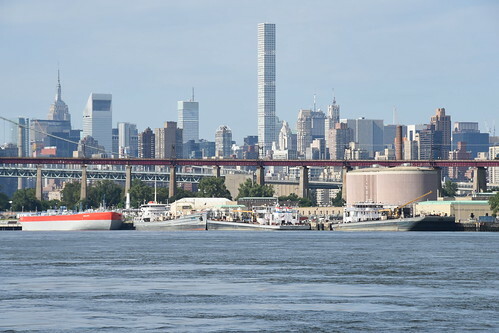 The Citywide Long Term Control Plan (LTCP) will encompass the majority of New York Harbor including the Hudson River, Harlem River, Upper New York Bay, Lower New York Bay, the East River, and the western portion of Long Island Sound. According to the city’s most recent Harbor Survey Report, the Harbor is cleaner now than at any time in the last 100 years. Continued improvements to the city’s 14 wastewater treatmentplants, and ongoing investments have resulted in an 80% reduction in combined sewer overflows since the mid-1980s. DEP is currently working on a Citywide LTCP to better understand how existing combined sewer overflows impact water quality throughout the Harbor. Check DEP’s Eventbrite page for updates on future public meetings. Download the Citywide LTCP Sampling Program to see where DEP is collecting water samples to inform the LTCP.